In order to rent the longarm machines at Sew Fabricated, each renter is required to take the Sew Fabricated Longarm Certification class. This hands-on class includes six hours of instruction with a maximum of four students (two students per machine). 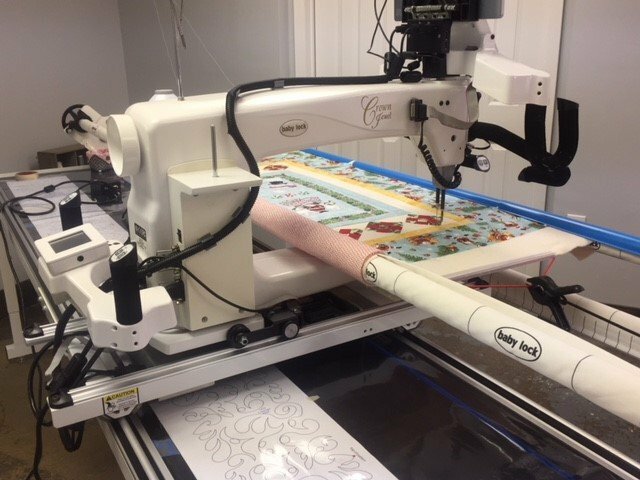 Students will be taught basic longarm machine operation, how to load and unload a quilt top, stitching simple free-motion quilting patterns, and working with pantograph patterns. NOTICE: By paying for the longarm certification class, student has read and acknowledged the class registration requirements listed below class dates. Once you’ve taken the Longarm Certification Class you are ready to rent the longarm machine! Don’t worry, we will always be here to help during your rental sessions. We would encourage you to schedule your first rental session within thirty days of the certification class so that the instructions are still fresh in your memory. Machine rental is by appointment only and renters must reserve a machine in advance of their quilting date. A non-refundable $40 reservation fee is required and will be applied to your rental session. Requirements: Students must pre-register for all classes. If you do not wish to register online, please call the store to pay for class and reserve your spot. This helps us to plan and staff each class accordingly. Full payment for class is due at the time of registration. Classes may be cancelled if minimum of two student enrollments is not met. Class fees will only be refunded if Sew Fabricated is notified within 48 hours prior to the scheduled class. 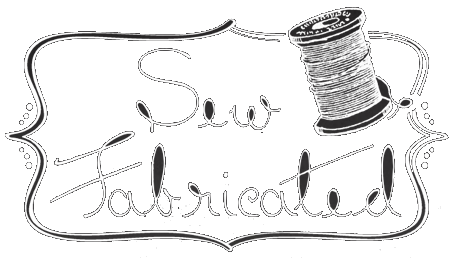 In the event of cancellation by Sew Fabricated due to low enrollment, you will be given the choice of picking another class, receiving a store credit, or receiving a refund. Please turn off all cell phones during class in consideration of the instructor and fellow students. All food and beverages MUST be kept in the dining area. By paying for the longarm certification class, student has read and acknowledged the class registration requirements listed above.